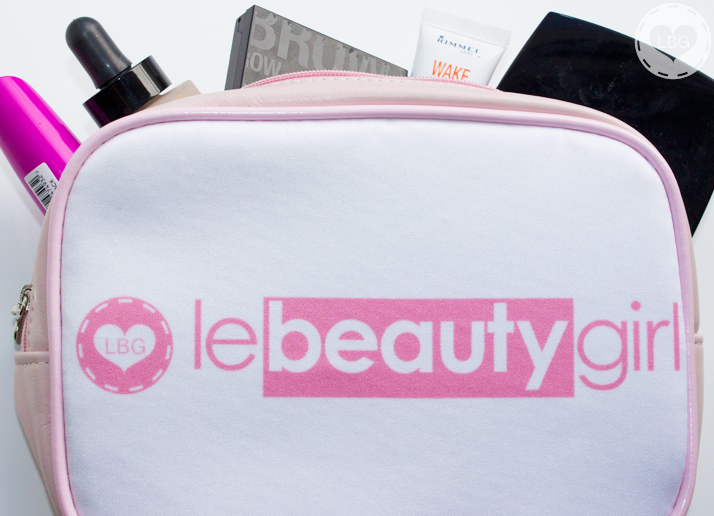 Who doesn’t love a cute little makeup bag? Even though I have a thousand and one bags where I could store my makeup for trips and things, I can’t resist pretty bags, especially if I’m able to customise them, like this one from Bags of Love. 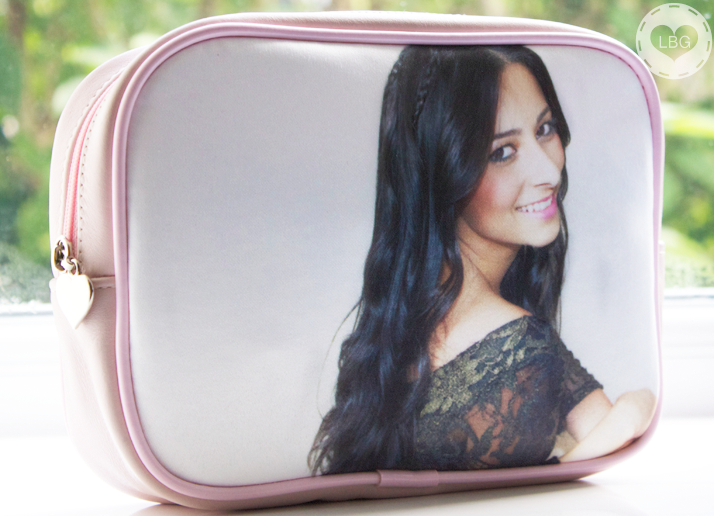 This is the Bags of Love Personalised Make Up Bag, which is made of a satin print area at the front and back, and a choice of leather of vinyl finish on the sides. The bag comes partially lined, fully piped and with a heart puller zipper. You also have a choice of 4 trim colours (Ivory Beige, Pale Blue, Soft Pink and Black) to match your style. The dimensions are 20 x 14 x 5 cm or 8 x 5.5 x 2 inches, which is small enough to fit in my handbag but big enough to hold a full face of makeup worth of products (including brushes)! For my bag I chose the Soft Pink leather finish with two different photos (one at the front and another at the back); one the one side I have my blog name and on the other side I chose a photo of myself – how vain of me! :) I absolutely love how it turned out; the bag is really high quality and you can tell there’s a lot of attention to detail. 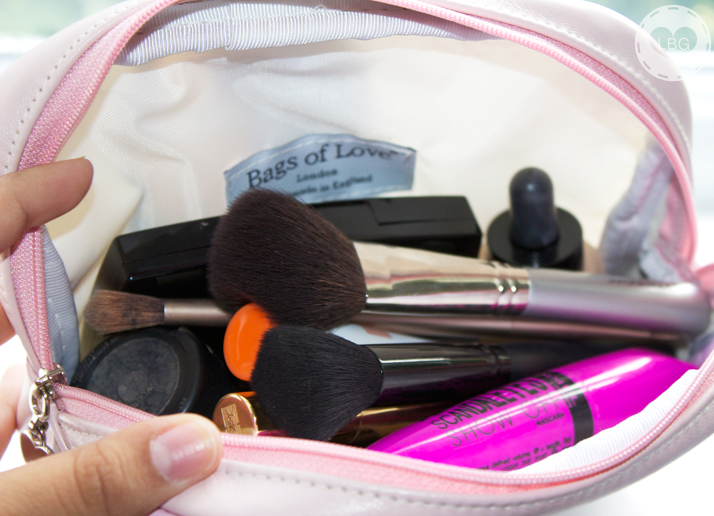 It holds everything I need on a daily bases, from blushes, to foundation, to brushes. What I really like about the Bags of Love website is that I found it incredibly easy to design my own bag. All you have to do is choose the photos you want, upload them on to the website, and you can preview what your bag will look like with your chosen colour scheme and finish. If you’re not happy with it, you can start again and upload another photo. You can also add text or upload a photo straight from your Facebook account. My only advice is, if you can, choose a darker colour on the satin area because mine is white and it’s starting to get a bit dirty; even though they are washable, no one wants to have a dirty makeup bag until you get a chance to wash it, right? I think these bags make the perfect gift and I’m definitely putting them on my ‘Chritmas Presents To Buy’ list (yes, I’ve already made a list for Christmas!). If you don’t want a makeup bag, they do lots of different personalised gifts; I’ve got my eye on the ‘Photo Coasters’ for when I move into my new home in December :) Oh, and their delivery service is super fast; I got mine within a day of ordering them! 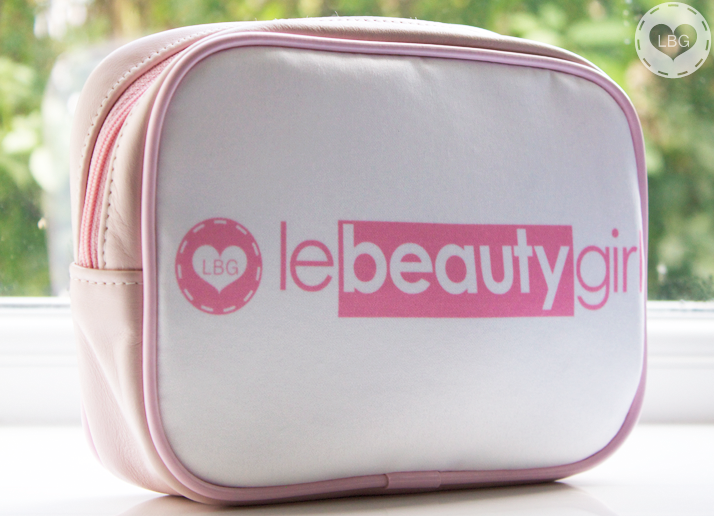 What do you think of the Bags of Love Personalised Makeup Bag? Would like to get something like this for Christmas? What other personalised items from Bags of Love did you like? Thats so fun!! What great gifts they would make. The bag itself is also a great size, looks like it fits in lots of products. I love it! I think I’ll make my own; I’ve been looking for a nice makeup bag. Dunno what it should look like, but I’ll find out soon. Nice post Ysis!